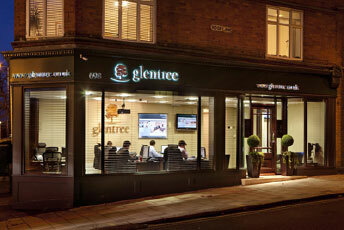 Glentree Estates: the best known residential property agency in North West London. Glentree specialise in the luxury property markets of Hampstead, Hampstead Garden Suburb, Kenwood and Highgate, home to some of the most expensive real estate in the world. We guide you through the process of buying, selling, renting and developing quality property. And, we are not frightened to put audacious deals together, in fact, this is a real differentiator and one many of our clients seek us out for. We aim to achieve the highest price possible on every deal done and provide a unique blend of disciplines and institutional reliability, with entrepreneurial vigor. 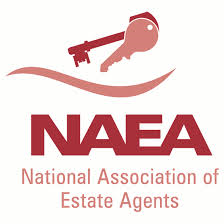 The longest established, independently owned north west London estate agent , with over 38 years of trading, we offer the most comprehensive selection of quality residential properties for sale and to let within the north west London area. 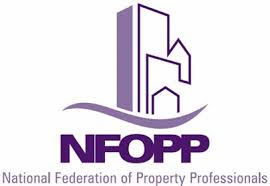 Glentree is a member of The Property Ombudsman, The Association of Residential Letting Agents (ARLA), The National Association of Estate Agents (NAEA) and complies with the National Federation of Property Professionals (NFOPP). These memberships provide sellers, buyers, landlords and tenants with an assurance that they will receive the highest level of customers service. Whether buying, selling or investing in luxury property for sale in West London we offer the very best advice and support for all our clients based on our ethos of hard work, professionalism, commitment and integrity. We understand how difficult property transactions can be and work with you to ensure you are correctly guided through the opportunities and pitfalls, ensuring you arrive with the very best of outcomes. Our experience is second to none as is our knowledge of Hampstead, Hampstead Garden Suburb, Highgate and Kenwood. In fact, over the last 38 years we have established an enviable reputation as 'The' agent in the area. We provide a highly personalised service focusing on the marketing and sales of new homes to both private individuals and property investors (where we advise on rental values and yields) offering a one-stop-shop approach that is both warm and professional from the beginning of the property journey right through to the end. We also work with some of the UK's leading residential developers where we identify sites, advise on planning consent, design layout, specification and marketing, provide full appraisals, viability reports and projections to make sure that schemes are carefully groomed for the right market either locally or internationally. We have established 'desks/affiliated offices' in most of the financial capitals of the world including: Singapore, Hong Kong, Jeddah, Doha, Dubai, Lagos, Abu Dhabi, Baku, Moscow, Kuala Lumpur and Tel Aviv. Our breadth of expertise, understanding of the north west London markets and commitment to our clients is second to none. Whether purchasing a new home or site, launching a residential development or revitalising stagnant sales, our New Homes Team can help. Our Residential Lettings team advises landlords, tenants and investors providing them with an excellent renting and letting service. 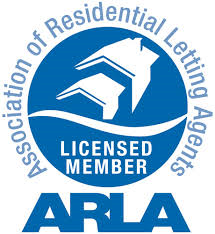 Members of ARLA -The Association of Residential Lettings Agents - we maintain Professional Indemnity Insurance and landlords and tenants funds are totally protected by our bonding scheme. Best practice is second nature to us. Our management services encompass property inspection, tenant referencing, tenancy agreement preparation, deposit registration, inventories, rent collection and more. And, for those landlords wishing to let their property on a long-term tenancy we also offer a comprehensive property management service. We are dedicated to getting the right result for you and will work alongside you to ensure that you find the best property or tenant that meets your needs. Glentree International consists of a team of highly professional and skilled property consultants. We are committed to employing the most experienced and professional property advisors in London, adept in catering to our elite clients and meeting their demands. Our team is hard-working and live by the philosophy that client satisfaction is the key to success. We are not only proficient in the marketing and selling of prime real estate but also known for creating a professional and friendly environment where clients feel comfortable discussing their requirements in details. We provide a wide range of real estate consultancy, catering to the needs of all types of buyers and sellers, rental clients - both landlords and tenants and brand new developments in North and North West London - Highgate, Hampstead, Hamsptead Garden Suburb, Kenwood. Glentree are proud to be able to provide qualified advice on all types of residential real estate as its long established team has unrivalled residential sales knowledge, an honest and direct approach and excellent communication skills. They are dedicated to not only achieving the highest price but to also offer expert advice and outstanding customer service throughout the purchasing or selling process.